Partylite Sidewalk Café Aroma Melts Warmer Party Lite A well on top holds Aroma melts or Aroma simmers. Heat rising from tealight in the bottom releases high-impact fragrance. 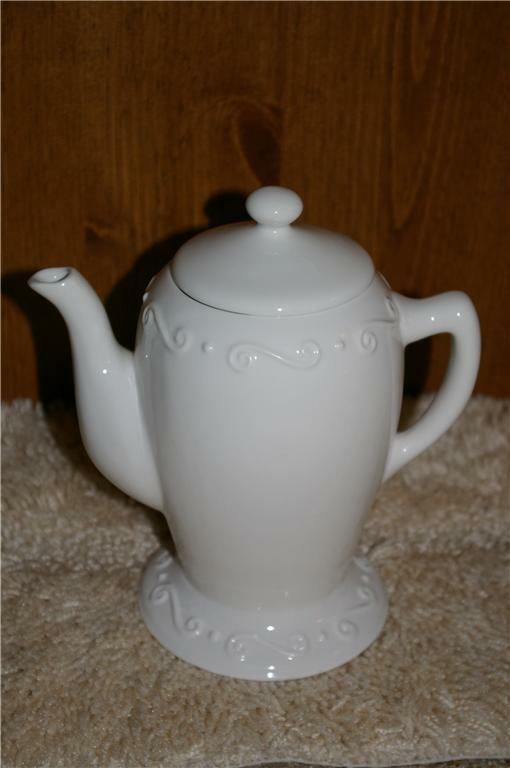 Beautiful white porcelain, perfect for any décor. The lid is removed during use and rest on top when not in use. Introduced in the 2004 Everyday catalog. Retailed for 32.95. It appears new and unused. Measures about 7 1/2” high. 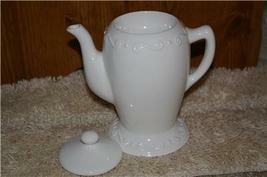 For use with aroma melts or simmers on one tealight. If the description or the photos do not answer all your questions, please email me and I will get back to you as soon as possible.